We all know taking care of the environment is important. We recycle, turn off the tap when we brush our teeth, use energy efficient light bulbs, purchase environmentally responsible products – maybe you even drive an electric car. Now, you can even make a green choice when you’re ready to install an above ground pool. 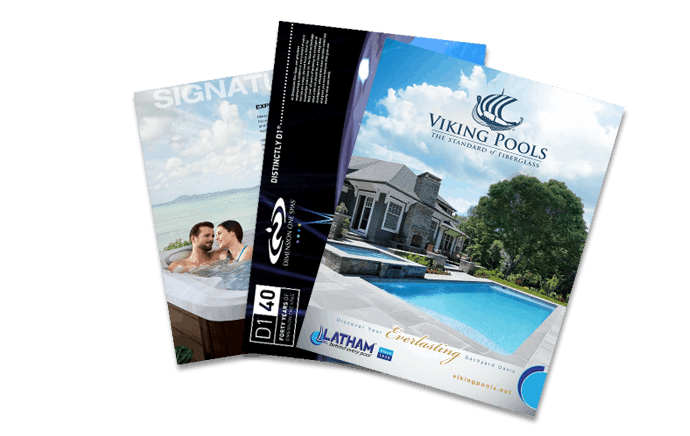 Doughboy pools are going green in a number of ways, so whether you choose a steel- or resin-framed quality Doughboy above ground pool, you can rest easy knowing you’re making an environmentally friendly choice. They’ve eliminated vinyl and plastic waste. Instead, they regrind all plastic products so they can be reused. They’ve mandated paper recycling for all of their employees, keeping tons of waste out of landfills every year. They use LED lighting throughout their manufacturing plant. The manufacturing plant is centrally located in the U.S., so Doughboy uses less fuel for transportation, and contributes less to air pollution. The company has also partnered with the makers of FROG products, so you can not only sanitize your pool easily, but do so in a more environmentally friendly way. These products are made with recycled materials, and the packaging is accepted at most recycling centers. Doughboy pools manufactures the most adaptable, durable above ground pools on the market today. The strength and quality are unmatched – some customers have their pools for more than 30 years! If you don’t believe us, just read their testimonials for yourself. A pool that lasts longer than the competition – a pool that might never have to be replaced for as long as you want a pool – that reduces landfill waste and is just another way Doughboy is a green choice! 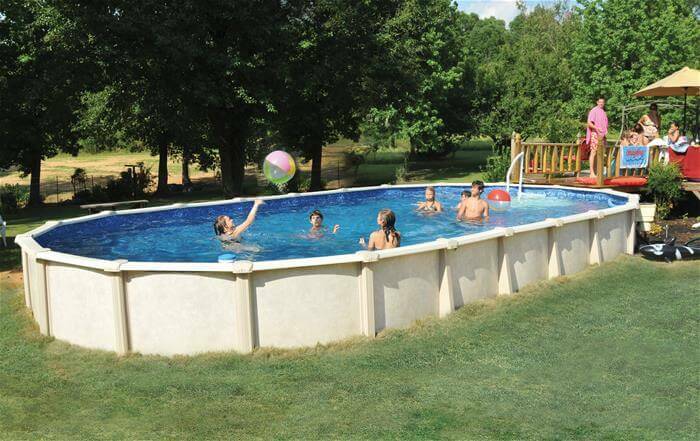 Check out our selection of Doughboy pools and choose the model that best fits your yard. It’s never to early in the year to begin planning for summer – and remember, a backyard pool is a great way to get the kids active, and off of their video games and cell phones. Plus, it’s just good family fun!